When I was a kid, most of my friends had a Nintendo. Some of them had an older Atari system, too. And then, there was one friend who just had an Intellivision. The system, made by Mattel, was easy to distinguish from others by its controllers – they were built into the system, and had a 16-direction control disc and a 12-button number pad, looking a little bit like a telephone. The Intellivision also had an add-on that gave games rudimentary speech capabilities. Games were more advanced than you’d find on an Atari, but primitive compared to what was later available on the Nintendo. The Intellivision brand has bounced around between companies over the years, and is now owned by noted video game music composer Tommy Tallarico. And, last week at the Portland Retro Gaming Expo, he presented the first new Intellivision console in three decades - the Amico. 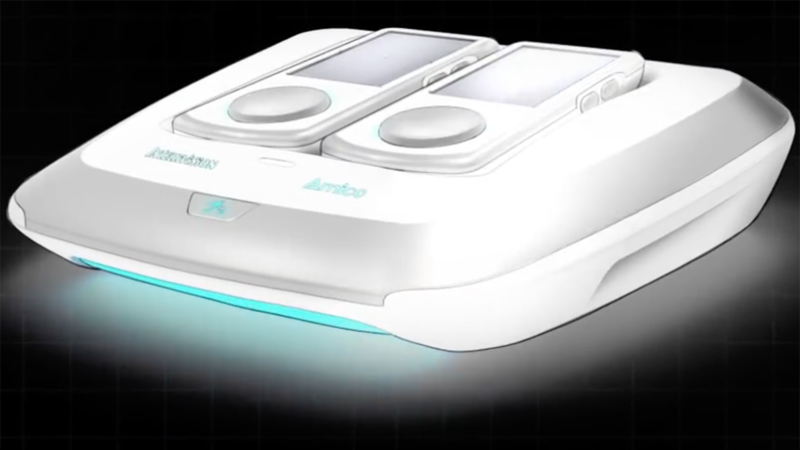 The Amico is a small console, with two places for controllers, mirroring the Intellivision’s built-in pads. But instead of being tethered with a cord, these controllers are wireless. They have a directional pad like the original, but instead of a number pad, these controllers have a touchscreen. Many classic Intellivision games, like Astrosmash and SNAFU, are set to return, with graphical enhancements. Other games, like Burger Time and 10-Yard Fight, will also be available. The system is being produced for value - it will be around $150, and Intellivision is promising games will be between $3 and $8. On top of that, they will not be allowing paid dowloadable content or microtransactions, and all games will either be rated E or E10, making sure the system will be family-friendly. I have doubts that this system will take off, considering similarly inexpensive systems have struggled. However, the promises they’ve made about low game prices and not having games that are too violent or gory may fill a niche that nobody else is directly targeting.